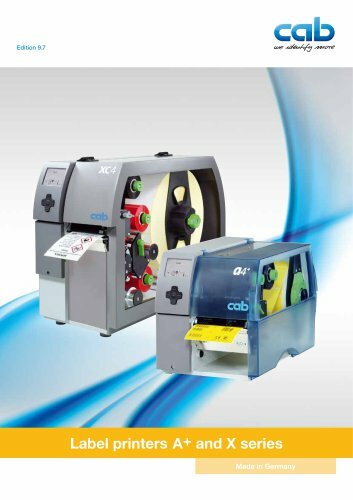 The sleek one For small labels with high printing accuracy Basic version For printing on labels and continuous materials. The material is torn off at the jagged tear-off edge. Optionally, it may be cut or rewound externally. Dispensing version For printing and dispensing labels. The label is removed from the liner during the printing process. It can be removed manually, by applicator or robot.